Learn how to fix a "Windows detected a hard disk problem", and how to rescue programs, settings and files from the failing drive. In this article, we will see how to deal with a "Windows detected a hard disk problem" message, and how to save your programs, settings, data and files from hard drive failure. We will also see how to avoid this error in the future. If you see a "Windows detected a hard disk problem" message, that means that the hard drive in your computer is very close to failure. You should take immediate action to save your files, data, settings and programs, before that happens. Your hard drive should be replaced as soon as possible. It is not safe to keep using it, as it may fail at any time. Before you do that, you should make a full backup of the computer. We recommend using Zinstall Computer Rescue Kit. It will backup everything, including your programs, profile, settings, documents, pictures, music, movies, favorites and everything else. Download and run Zinstall Computer Rescue Kit on your computer. Use its 3rd option, "Moving from Machine to Container". Select the C: drive on Source selection, and select a place to store your backup container (it's just a big file) in the Target browse selection. A good place to store the container is a USB external hard drive, but any place which is outside the computer we are wiping will do fine, such as a network drive, another hard drive in the computer etc. Start the backup process. This should take a long while, and you will see a message confirming that the container has been created successfully. This will most likely prompt you to restart the computer, which you should do – CHKDSK will run while the computers starts again. Once done, repeat the backup process using Zinstall Computer Rescue Kit. Now that you have a full backup of your computer, you should replace the faulty hard drive. Take it out of the computer (do not destroy it yet - it could be useful for additional data recovery). Then, place a new drive into the computer, and install Windows on it. Now, you can proceed to the recovery stage. Once you have your fresh new Windows installation, it is time to restore your programs, settings and files from the backup you've made before. To do that, run Zinstall Computer Rescue Kit and use the 4th option, "Moving from Container to Machine". Point it to the backup container you've created in the first section, and it will restore everything, including programs, settings and files, to the new Windows. If you don't want to restore everything, you can also exclude some programs / folders you don't want to recover. That's it - you have a successfully reset your computer, and got all your programs and files back where they were! We recommend keeping a regular backup of the computer. This way, if your drive fails, you can be sure that all of your stuff is safely backed up on a different drive. 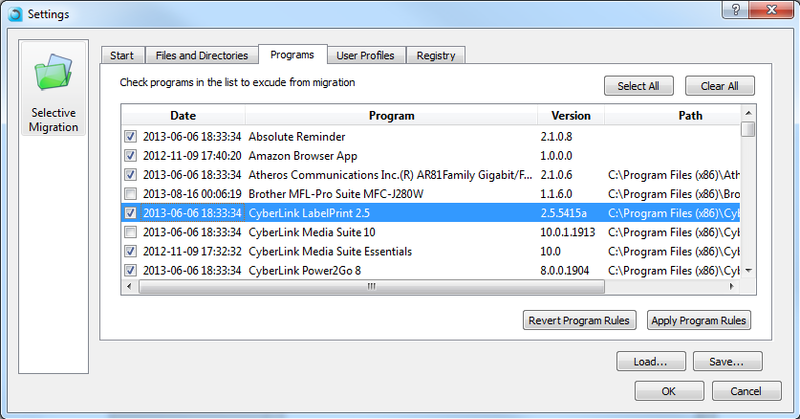 Use Zinstall Backup to do this - it is automatic, complete, always-on backup. You can get it here. Ready to backup your Windows, replace the hard drive and then recover your programs and files? Get Get Zinstall Computer Rescue Kit here. Any questions? Need guidance? Looking for help with your Windows reinstall, backup or recovery? Our expect techs are standing by! Contact us by email (support@zinstall.com), phone (877.444.1588), or chat (bottom-right corner of this page). We are looking forward to assisting you.